So back to the Laundry Room project. Before we could do much down there we had to clean out and empty as much as possible from the basement to have room to work. 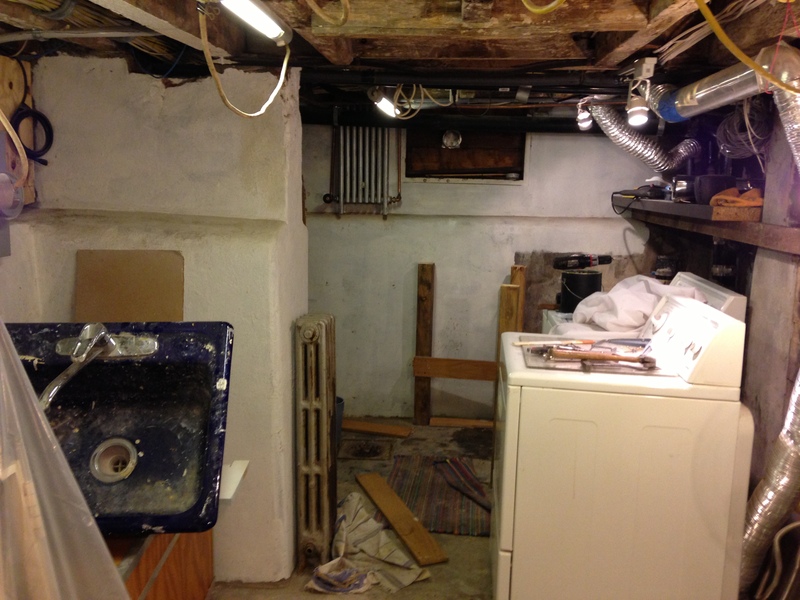 (This of course made a complete mess of our 1st floor which now looks like the basement!) Our temporary sink https://madisonsquarehome.com/2009/10/04/basement-utility-sink/ that we got a lot of use since 2009, especially for the several months that it was the only sink in the house, got dismantled. 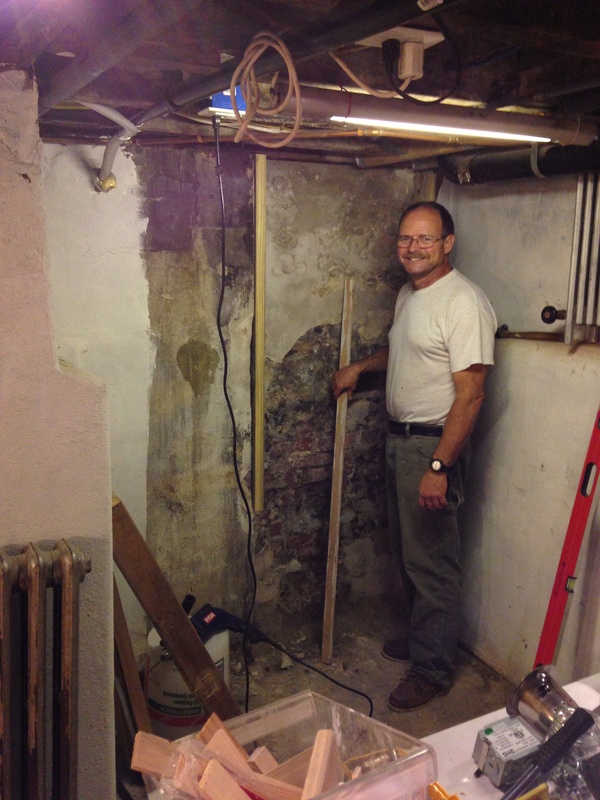 We had a floor mounted radiator down there, from when we use to shower in the basement before we finish our 2nd floor bathroom (boy we have come a long way! ), that would be in the way of the base cabinets so it also had to go. 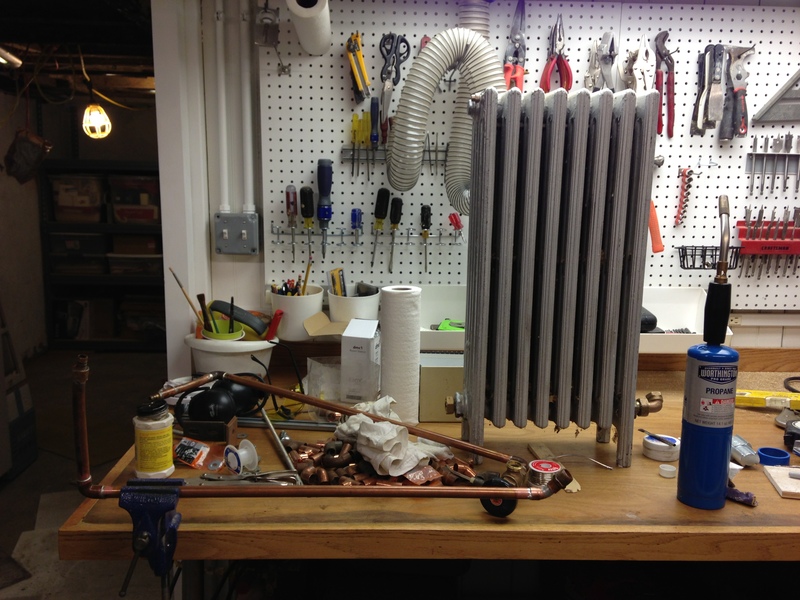 We however still have a stockpile of radiators from the renovations so we are going to reuse one of the smaller ones and wall mount it out of the way. On a side note its great to have a shop with a big work bench where we can work on all of these project! 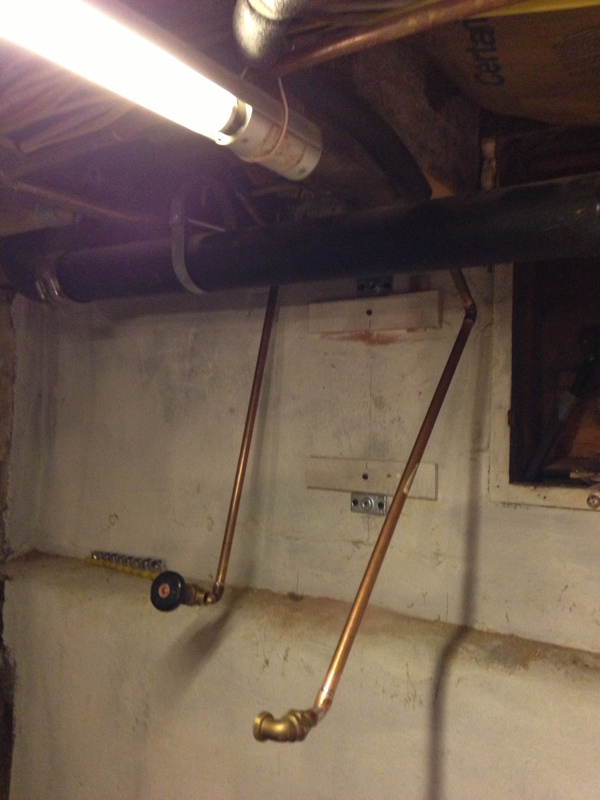 So a little copper and pex work later and 2 threaded rods into the masonry wall and we have an installed radiator! It never gets real cold in the basement but this will help keep it comfortable. 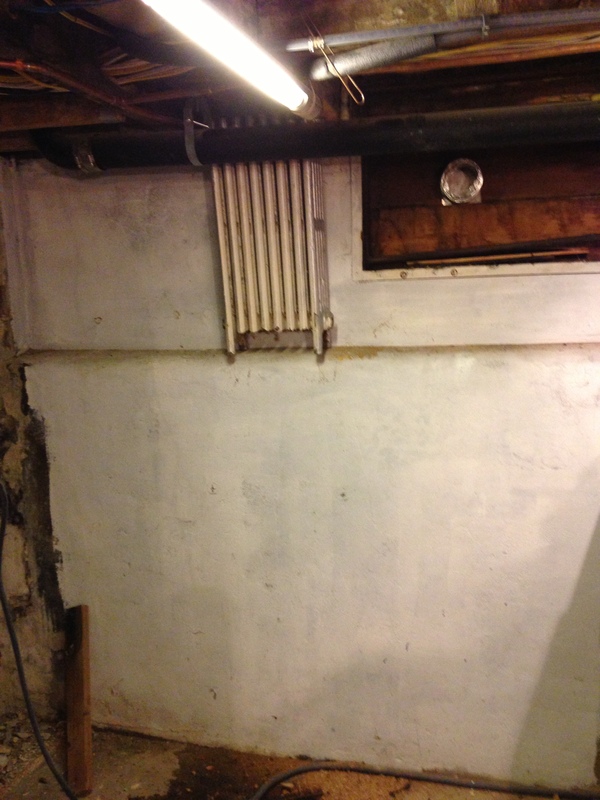 Also on the clean up hit list, the back wall of the basement in this corner is not very pretty. 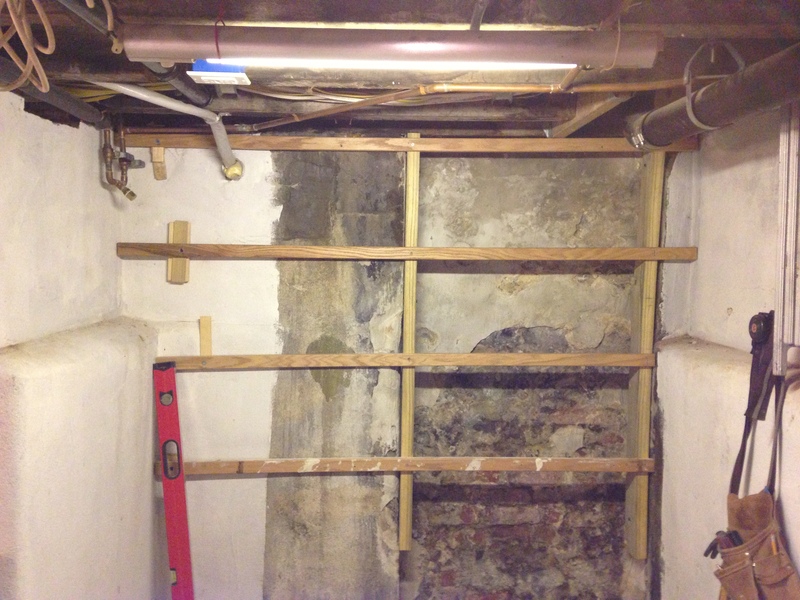 The brick area is an infill of an old doorway to what was an exterior stair. Now its our neighbor’s yard and we get moisture coming through this wall. The did parge over it but the parging is already disintegrating. So we are going to build a wall in front of it while allowing space behind for air flow to help it dry out when it does get moist. 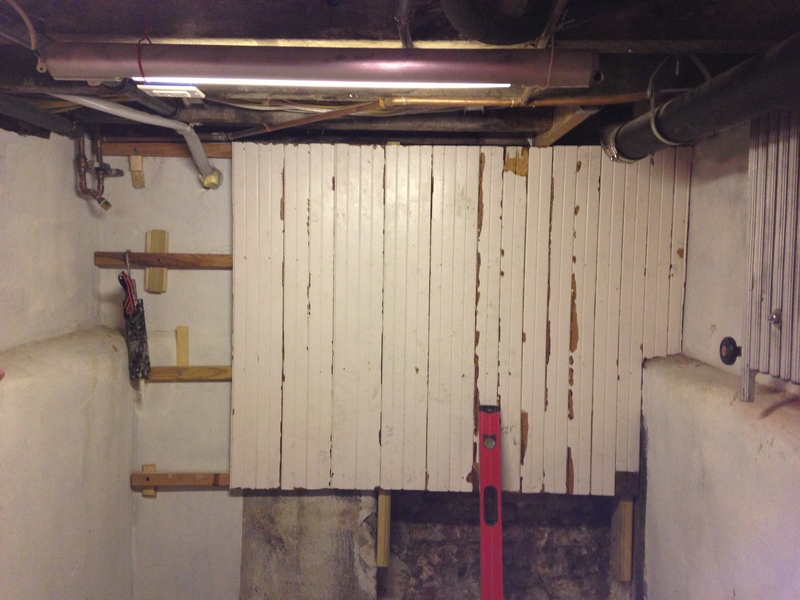 We are reusing the paneling we had salvaged from our 2nd bathroom demolition. You may remember this old board that was marked “Use the best boards only”. https://madisonsquarehome.com/2010/08/16/use-the-best-boards-only/. Well its getting reused, being that its a good board. 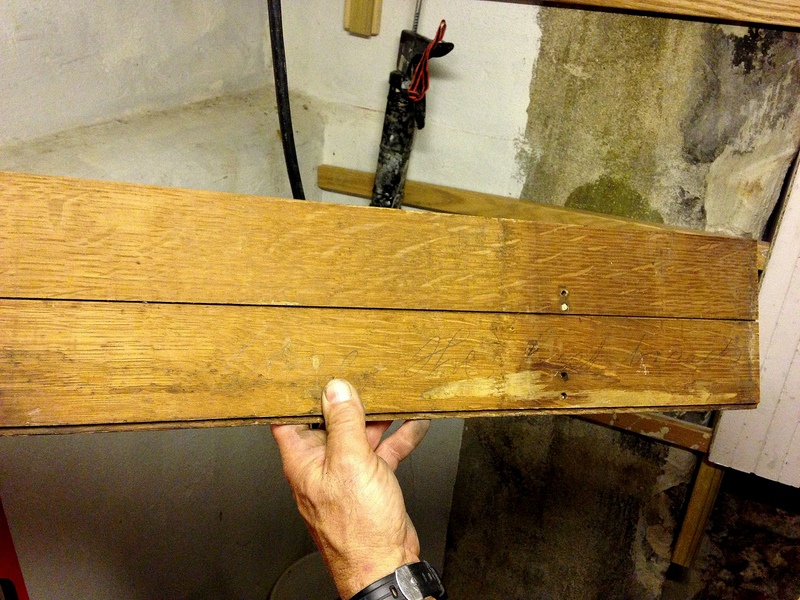 We will give the paneling a light sanding with the palm sander and it will ready for paint. The paneling will give us a nice clean wall and the bottom wall will be covered with base cabinets.